At IoT World 2016 Hewlett Packard Enterprise (HPE) announced availability of the HPE Universal Internet of Things (IoT) Platform. 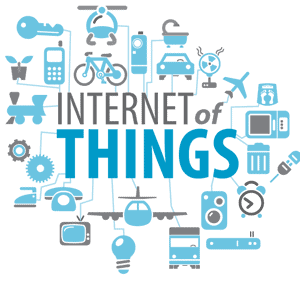 According to Gartner, the “endpoints of IoT will grow at a 31.7 percent CAGR from 2013 through 2020, reaching an installed base of 20.8 billion units.”1As the IoT market expands and organizations extend their networks to connect a broad range of devices, communications service providers and enterprises require horizontal solutions to connect and manage devices and applications, while meeting the scalability and versatility requirements of IoT operators. The HPE Universal IoT Platform enables the ability to add new functionality and benefits to users, acting as a driving force in building the infrastructure that enables the growth of IoT. Multi connectivity –communication over different types of underlying networks, to acquire IoT data and maintain it in a consistent data model aligned with the oneM2M standard. Device Management– standardized device lifecycle management (oneM2M) across disparate IoT gateways, devices and underlying networks. Mashup –ability to enrich data from the devices with external data sources, so developing contextual data that provides greater insight. Developer Portal – sophisticated application development environment for developers and partners. Data analytics – discovers meaningful patterns in data collected from sensors to derive valuable business insights using HPE Vertica and HPE HavenOnDemand. Enhance Data Security– utilizes key exchanges and Codec libraries to interpret data flows in a secure manner. Objenious, a subsidiary of Bouygues Telecom, a French provider of mobile, fixed, TV, internet and cloud services, is using the HPE Universal IoT Platform and the LoRa network to deliver IoT services that address a number IoT use cases, ranging from vehicle fleet management, remote meter reading, predictive maintenance and geolocation. HPE simplifies connectivity across the IoT ecosystem 0 out of 5 based on 0 ratings. 0 user reviews.